Welcome to Raleigh Towing Company! Thank you for visiting Raleigh Towing Company, the best towing services company in Raleigh, North Carolina. We are a private towing company and are NOT associated with the city of Raleigh Towing Division. We have fully licensed and bonded tow trucks and recovery vehicles and our purpose is to provide an outstanding customer experience for all of your personal or business towing needs. We stand on the integrity and long-standing business that we bring to our customers, with service experience of over twenty five years! We have a service that gives you unlimited towing Raleigh NC car owners can always call upon. Do you require a towing service Raleigh NC locals can trust? We have serviced many satisfied clients with our towing services, and are constantly seeking what our personal and business customers’ needs are so that we can consistently serve them with the care and excellent service they deserve. We provide solutions for a variety of needs, such as enforcing parking lot monitoring and zoning regulations for commercial buildings, apartment communities, townhouse associations and condominium properties, private property rights, as well as roadside assistance, such as vehicle lockout issues. Our Raleigh towing and recovery services are top notch and our drivers are second to none. For commercial customers, if you also need assistance for daily, weekly or monthly monitoring, we have the time and resources to help you so that you can focus on the tasks that require the majority of your attention. We have a one on one meeting to discuss policies and draft and enforcement plan that meets your needs for the business and the community or patrons they have relationships with. The majority of our clients have preferences regarding how they would like policies to be enforced, cases in which warnings need to be issued, as well as immediate vehicle removal conditions. Some cases to be considered may be fire hydrant or community entrance blocking. We're one of the best towing companies in Raleigh NC and we respect your conditions, and are happy to let you know when we act on your behalf or before we act on your behalf. Roadside assistance services are very important, especially when you need someone to come to your aid quickly. We are happy to come and help you if you are in town or out of town, and some of the services we provide are flat tire, battery jumpstart, vehicle lock out, and fuel delivery services. Please call us if you have another situation and we would be happy to do our best to accommodate your needs. We are one of the top rated companies for east coast towing Raleigh NC visitors tend to call for help. Our reliable towing and roadside assistance company sets the standard for excellent service and strong communication for our customers. We provide digital photos for removals, post towing signs, provide a report every time we give a ticket or perform a removal, and have 24/7 availability. 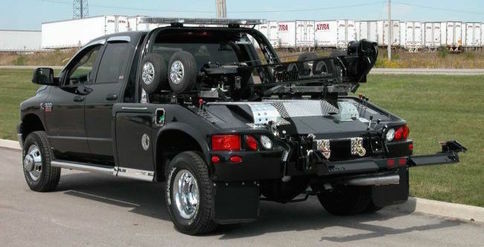 We also provide unlimited towing services, specialized tow trucks, flat beds and special recovery equipment if your needs are on a custom or ongoing basis. Our company for towing Raleigh NC residents rely on; stands by the integrity and excellent customer service we strive to provide for our customers. 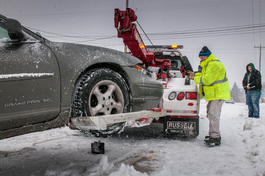 At the time you need towing or roadside assistance the most, we are right there to help you. We present a listening ear to your needs and our priority is to fulfill your request in a timely and efficient matter at an affordable price. We're a reputable towing company Raleigh NC businesses and people have been calling for many years; be sure to contact us immediatley if you're ever in need of quality assistance.